The respite since the handing over of Wing Commander Abhinandan to India by the Pakistani authorities is being viewed with a degree of relief by many. There is a perception of receding war clouds. The question here is – is this a lull before the storm? Newspapers in Pakistan continue to remain in denial with regard to the downing of the F-16 fighter aircraft of their country. “Last week, Indian jets dropped payload at a hilly forest area in Balakot. In reply to that, Pakistan Air Force on Wednesday shot down two Indian military aircraft in Pakistani airspace after repeated LOC violation,” says an editorial dated 03, March of yet another English newspaper, Daily Pakistan. It also refers to “unprovoked firing along the Line of Control (LoC).” A gist of the editorials has been carried by the website, Indian Observer Post. 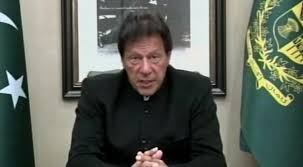 The decision of Prime Minister Imran Khan to release Wing Commander Abhinandan has witnessed a fair degree of opposition within the country. Some members of the Pakistani National Assembly spoke against the decision and one Barrister, Muhammad Shoaib Razak, filed a petition in the High Court to stop release of the pilot, which was dismissed by the Court. Some rabid veteran army officers have spoken against the same on Television, clips of which have gone viral. Hamid Mir, a noted Pakistan Journalist presently working with Geo News tweeted, “Nawaz Sharif Govt release Indian pilot after 8 days captivity and lost his Govt within 6 months in 1999.” The innuendo is quite obvious. On the positive side, Pakistan witnessed a lot demands upon the Government to release the pilot. These came predominantly from women and the elders of the educated society. An organisation named “Women in struggle for empowerment” carried out a rally in Lahore against escalation of the situation into an all out war. They carried banners saying “war is not a solution” and “Women against war.” Other banners demanded “Safe return of Abhinandan Varthaman” with hash tags of #NoToWar, #IStandAgainstHatred, #ProfilesforPeace etc. The public relations machinery of the Pakistan Army (ISPR) has, in a tweet, confirmed that the Pakistan Army Chief, General Qamar Bajwa, spoke to his counterparts in US, UK, Australia and also to ambassadors of these countries as well as China with regard to the impact of the situation on “peace and stability in the region and beyond.” “Pakistan will surely respond to any aggression in self defence,” he said. It is from this tweet that one gets an inkling of the anxiety within the Pakistan Army. The retaliatory actions other than military taken by India have also started having an effect. Inflation in Pakistan is rising due to the removal of the Most Favoured Nation (MFN) and imposition of heavy duty on trade between the two countries. The Indian hint towards a reassessment of the Indus Water Treaty (IWT) is causing widespread disquiet. Close to the heels of the face-off between the two countries came the meeting of the Organisation of Islamic Conference (OIC) at Abu Dhabi where India was invited for the first time since inception of this grouping of 57 Islamic countries. A sulking Pakistan refused to attend the proceedings, but it did manage to convince the grouping to stick t its original posture on Kashmir. One day after the address of Foreign Minister Sushma Swaraj, the Foreign Minsiters session of the group passed a resolution highlighting, “intensified Indian barbarities (in Kashmir) since July 2016” and “illegal detentions and disappearances in Jammu and Kashmir.” The communiqué also praised Prime Minister Imran Khan for sending the Indian pilot back. India has, of course, responded with a reaffirmation that Jammu and Kashmir is an integral part of India and the matter is strictly internal to the country. India may think that the cross border skirmish was enough to put the matter of the Pulwama strike at rest but Pakistan definitely does not think so. It will be weighing its options. One option is to follow the path of reconciliation; this is possible only if it manages to control the terror activity emanating from its soil. The second option is to retaliate with strength to contain the receding credibility and stature of the Government and the Army. Since both options are open, India cannot afford to get complacent; a constant eye on the situation and high level of vigilance/ preparedness for any contingency is important. This is definitely the proverbial lull before the storm.